Prada Prada Candy Eau de Parfum, 80 mL/ 2.7 oz. PradaPrada Candy Eau de Parfum, 80 mL/ 2.7 oz. Prada Candy, the new feminine fragrance of Prada enriches the Prada brand's fragrance universe with another vision: colorful, pop and explosive. Prada Candy incarnates the new Prada woman: she's daring, sensual, full of life and implosive. The BottleMiuccia Prada is standing apart from the rest and always looking for new ways to express her creativity. For her new feminine fragrance, she has created a breakthrough design which explores new forms and textures, an original re-imagining of the traditions of perfume design. 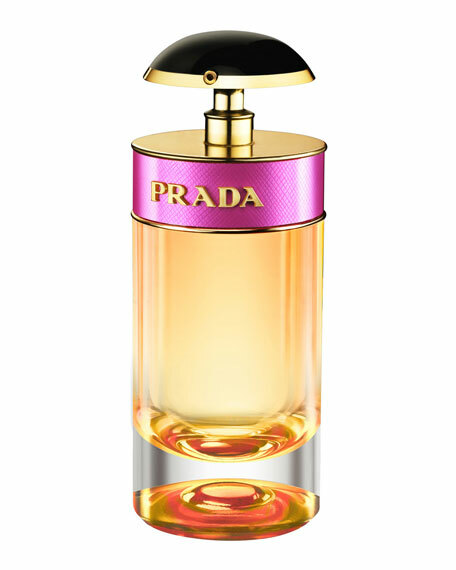 The bottle is a mix of joyful colors and qualitative materials inspired by Prada Fashion. It is daring and sophisticated, retro and modern at the same time. It is dressed with an iconic shocking pink Saffiano leather stripe. The Prada logo stands out in raised gold letters. 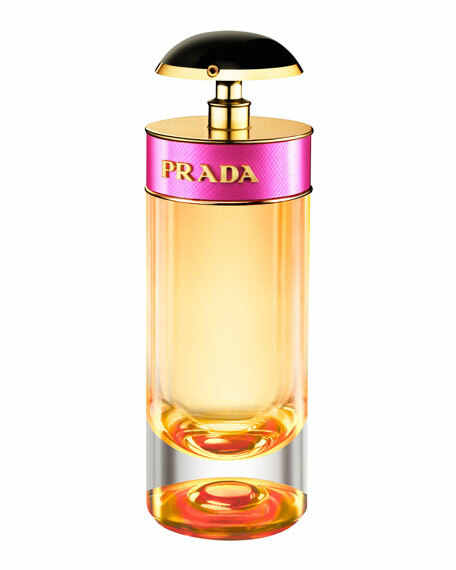 The Outer Packagingthe outer packaging is hot pink in color, and features a blond girlsilhouette, and Prada Candy logo prominently written on its facade in embossed letters on ablack background. Prada Infusion d'Iris Eau de Parfum, 3.4 oz.